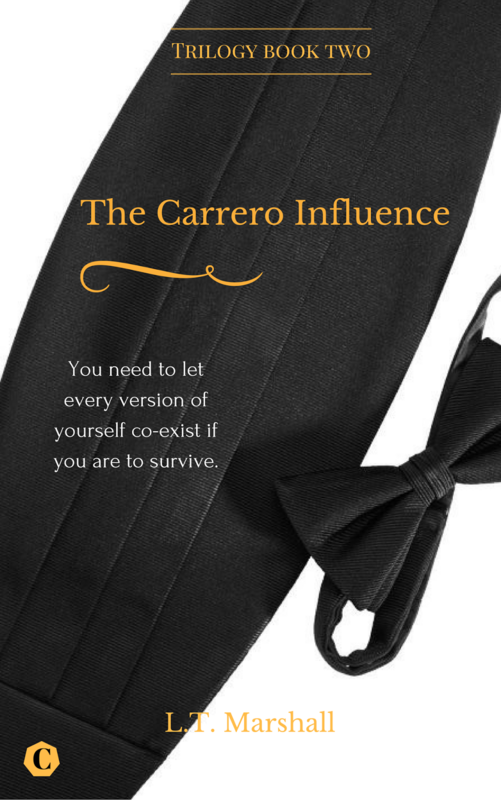 Lovers of my book The Carrero Influence – Book 2 will love this brand new alternate chapter. ‘Oh, my god, Emma!’ Leila’s excitable voice grabbed her attention as she dived on Emma from the Right of Jake, she had obviously followed him when he headed to the bar. Throwing herself around Emma, who was only inches taller and almost hauling her off her shoes. Jake didn’t move, just continued to watch her, unable to tear his eyes from that face that could stop the world from turning. He didn’t care that the women just to his left were trying to capture his attention subtly. ‘Whoa, Leila.’ Emma choked, laughter breaking over her delicate face and changing the apprehension to knock out beauty. Jake stiffened, trying to keep his emotions in check and trying to hide any reactions she caused him. Just being this close to her, unable to just be how they used to be was complete agony and his heart had continued some sort of rumba inside his chest. ‘I’ve missed you, millions! Emails are not the same Miss Ems. You look freaking sensational!’ Leila spun Emma round and sent her reeling, losing her footing on high shoes, Jake moved swiftly forward and caught her mid tumble. Pulling her against him despite every one of his senses telling him to let her go. The feel of her body against his sent an electric jolt through him, heating his blood and making his stomach lurch with emotion, she smelled better than good and her scent would only keep haunting him even after he left here now that he had the smell of her on his tuxedo. ‘Careful Leila.’ Jake scorned, catching the wicked gleam in her eye of a calculated plot she had brewed up. Jake narrowed his eyes at her and shook his head over the top of Emma. Moving to look away as she turned back to him, incase she saw what was transpiring. She seemed to focus on him for a moment and as much as he wanted to just turn back and dive into those baby blue eyes, he couldn’t bear it. Previous postCarrero Trilogy book 3 is free! The Carrero Solution.